Moldava nad Bodvou lies in the Košice Basin, east-westwards from Košice on the international road E 571 in the direction to Rožňava. A railway line Košice-Zvolen crosses the town. The Košice airport is 25 km far from the town. 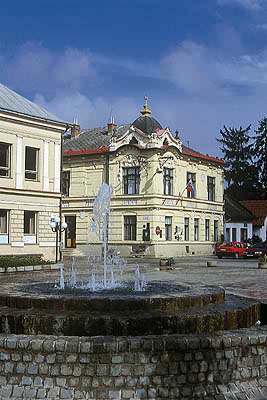 The easternmost tip of the Slovak Karst reaches the western part of the town. The regional altitude above sea level ranges from 203 to 284 metres above sea level. The town is crossed by the 21st meridian. The first written document on the town is from 1225, which confirms the state of the settlement existence called Zekeres (Szekeres) one hundred years ago. At that time the town was a royal property and belonged to the Turna County. 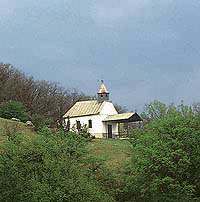 The name Moldava nad Bodvou has been used since 1927. There are mentions about a brick church that had already stood there before the year 1290 on which bases in the 15th century was built a gothic church. In 1317 there is the Town Council recorded as the ruler of the town headed by the City Administrator. An historical event contributed to the town development. It was when the king Karol Róbert (Charles Robert) and later his son awarded the town Košice many privileges. Among these privileges was also the right to gather high toll and taxes from the merchants. Lots of traders then avoided Košice; they started to look for the way to the north to Poland through Moldava. In this century was a great cellar system constructed in Moldava (preserved partially up to this day) which was used for goods storing - particularly for the fruit and wine. In connection with that the vineyard growing and wine production spread and related crafts flourished. In 1345 Moldava ranked among free royal towns with the right of market and became a significant trade centre of the region. In 1548 there already were many craft guilds and a school. Wars, epidemics and the foray of the Turks remarked the town. In 1590 nearly the whole town became a victim of a great fire. Only walls of a stone church remained. In 1795 the town was on fire again. The flames devoured a 5000 volume library, all houses burnt, the church bells fused and both churches lost their roofs. 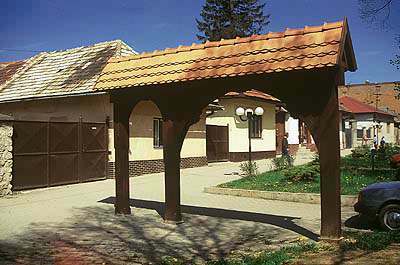 Only one wooden gate remained which has been standing in the yard of the East Slovak Museum in Košice. 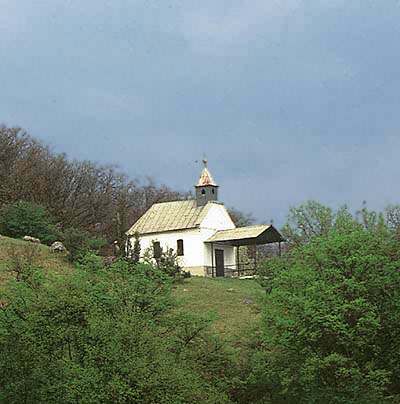 Its copy was exposed in 1966 and placed by a Reformed church in Moldava nad Bodvou. The World War I and later the World War II affected the prosperity of the town. 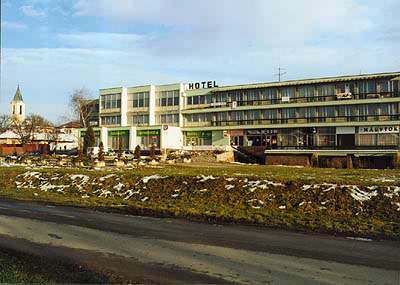 Calm and harmonic suburban life was changed in the 1950s and 1960s after the construction of VSŽ Košice (the East Slovak Iron Works) started. That created new job opportunities, an influx of inhabitants arrived, the number of residents more than doubled and an extensive flat construction began. Also the national structure changed, till then mainly Hungarian. Nowadays the town has got about 9450 residents. 49,1 % of them claim Hungarian nationality, 47,4 % Slovak nationality and 3,5 % are of other nationality. Despite an adverse situation and high unemployment rate the town has been developing. There have been local communications improved, the town centre has been reconstructed, the boiler rooms have been converting into ecological ones. The town offers good opportunities for entrepreneurial activities, free building-up areas for the potential investors. Nowadays there are 3 nurseries, 1 Hungarian and 2 Slovak primary schools, 1 with Hungarian teaching language, 1 Slovak and 1 Hungarian grammar school, a Bilingual Comprehensive Agricultural School, School for Handicapped Children and Primary School of Arts. It has good bus and train connection; also the international and long-distance coaches and trains stop there. It takes just 30 minutes to the Košice airport. The town has got one hotel, post office, and hospital. It is an excellent starting point for the visit to the surrounding natural and historical sites. situated in its historical centre. Contemporary documents confirm that already before 1290 a brick church stood in Moldava. In 15th century under the king Matej Korvín`s rule on its bases there was a church in the Gothic style built (as the St. Elizabeth Cathedral in Košice). The church was originally a three-nave church with a long presbytery. In the last third of the 18th century its side sanctuaries were destroyed during the Baroque reconstruction. The church is consecrated to the Holly Ghost that is reflected in the coat of arms of the town - a dove. The dove with spread wings can be also seen above the main altar. This altar is in the New Gothic style made in 1896. 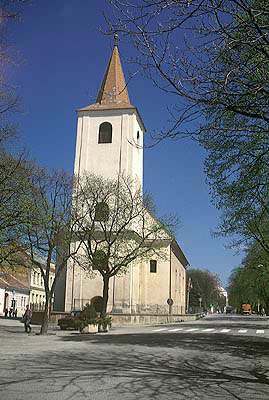 The tower of the church is on the western side and has three bells. Southwards the tower there is an additional building of Chapel of the God's Grave situated. There is a legend, which ascribes significance to a Franciscan monk in the Counter-reformation, remembered in the local traditions as the father Herkó up to day. According to the legend he didn't hesitate to head the soldiers with arms in their hands and in such way turn the Protestants to the belief. His portrait is carved in a stone with the year of his death - 1686. This building is recorded in the list of the cultural monuments. - built in the local part of the town in a distance of 3 km, on a place of an old church. This church was during frantic battles at the end of the World War I fairly damaged and consequently pulled down. The last mass there was said on 8 December 1944. In 1991 the first bases of the new church were laid. The construction was supported by financial contributions of vicars, the Moldava nad Bodvou town, people born in Budulov from all around the world and foreign sponsors. An important help granted a priest born in Budulov, István Kádasi, who works in Budapest. 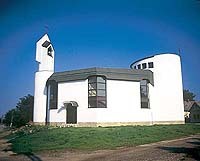 The church was consecrated on 16 July 1996. The Town Office building - one-storey corner building situated on the square. It is a block building of a square plan from the beginning of the 20th century (around 1905). It is typical for the Art Nouveau style with fragments of historizing architecture. The front facade is five axial at the ground floor level segmented with markably shaped console ledge. Between the windows of the second and third axis of the floor there is a cartouche with the coat of arms. The major ledge above the first axis is ending by an artificial second floor with a small dome-shaped tower. Inside the interior an original oak stairway in the empire style there have been preserved. The building has always been used as a Town Hall. It is on the list of the cultural monuments. The Catholic Pastorate - a classicistic two-storey building situated in the 108 Main Street. Built at the end of the 18th century. In aedicule between the front windows on the second floor there is a statue of St. Jan Nepomucký. In 1999 the Pastorate facade was renewed and on the front wall there was placed a marble desk with a list of clergymen who functioned in the town in the past 700 years. 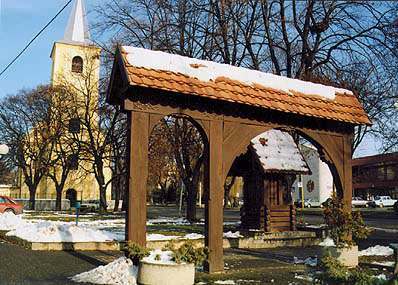 Szojko`s Gate - the copy of the wooden gate was issued in 1996. It is placed located in a park by the church of the Reformed Church on the Main St. in front of the house num. 33. 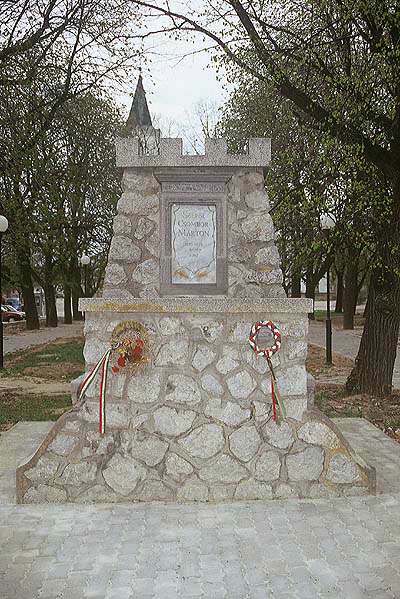 Its original is placed in the yard of the East Slovak Museum in Košice. It commemorates the year 1795 when the town was on fire once again. The 5000 volume library burnt down; churches lost their roofs either their bells melted. Many people became victims of this fire. Only the gate protected itself from the flames. Therefore, there was a Latin inscription carved on it saying: "I was burning in a flame and yet all remained…"
The Hotel Social House - the only hotel in the town. B** category, capacity of 14 double rooms and one suite. There is a restaurant and wine-room - night bar. Before the hotel there is a large free of charge car park. In the hotel complex there are hairdresser, beauty salon and solarium in disposal. 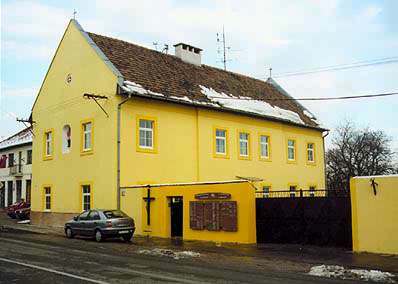 Address: 5 Školská St., tel. 00421-943-4602708 and 4602709. 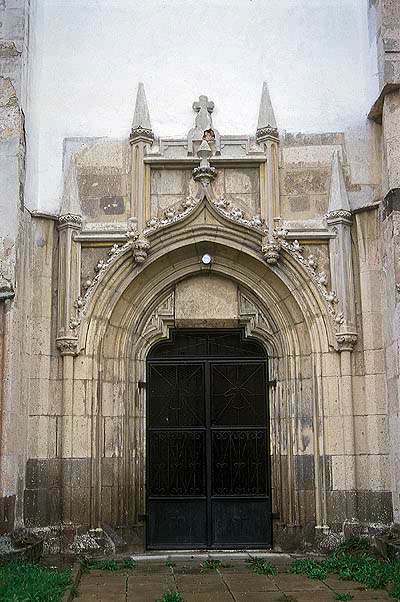 The Southern Portal of the Roman - Catholic Church has all characteristic signs of the Gothic stonecutter's workshop of the Košice cathedral. It is probably a work of the same craftsmen or their followers who built the St. Elizabeth Cathedral in Košice. St. Roch Chapel - built on the slope in the northern part of the town in honour of St. Roch and in memory of the victims who died in the cholera epidemics. The epidemics broke out in the town in 1831 and during six weeks 212 residents died. In 1872 34 people died in another cholera epidemics. Since then on the day of St. Roch there is every year a mass said in commemoration of the victims who died in the epidemics. 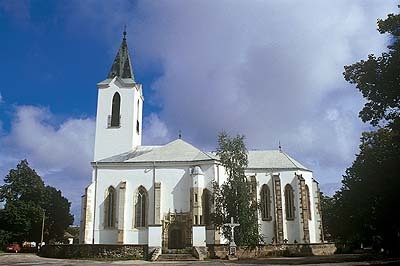 The Reformed Church - situated on a square in the historical centre. Built in 1773 in classicistic style. The tower was finished in 1789 and has two bells. The church was reconstructed in years 1876, 1922, 1951 and again in 1997-1999. There is a beautifully carved pulpit, which is worth to be seen. 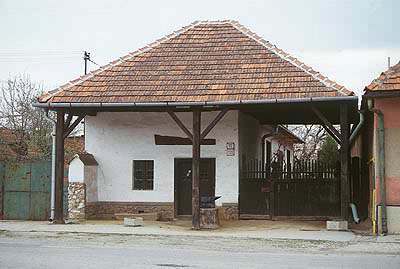 The Ethnologic Museum with a smithy - stone building constructed in 1850. In the front part there can be found an authentic smithy with an open fire. Its tool equipment and the porch before the forge show that it used to serve either for shoeing horses. In the back part of the house there are three rooms. One of them introduces a shoemaker's guild, which had a long tradition in Moldava. In the middle of the house there is a kitchen with its original equipment and furniture from the end of the 19th and beginning of the 20th century. In the back room there are examples of the dressmaker's and hattery guild equipment and the guild of gingerbread-makers` equipment exhibited. The museum also houses archaeological findings of PhMr. Gustáv Stibrányi - an honorary citizen of the town. In the small picture gallery besides contemporary paintings and photographs on the town there is also a function-weaving loom. In the back part of the building there is a stable for the cattle where are stored preserved agricultural machines and tools. To visit the museum call the Town Cultural Centre in advance, tel. 00421-943-4602173 or Mrs. Marta Dittelová 00421-943-4602513. The Memorial Tablet of Szepsi Csombor Márton - placed in the park in front of the Town Office. Szepsi Csombor Márton is the author of Europica Varietas - the first travelogue written in Hungarian language. In this work he describes his journey around Europe in years 1616-1619. He visited Poland, Denmark, Holland, England, France, Germany and Bohemia. The book was issued in 1620 in Košice when Csombor became a Vice Chancellor of the school in Košice. The City Administrator of Košice employed him on the references from Peter Alvinczi. Later Csombor worked in Vranov nad Topľov by Nyáriová family. There he wrote the work that is considered as the first work written in Hungarian language. It is called Dvorná schóla (the Conduct of the Court) - an ethical and pedagogic work He became a member of an academy in Strassburg. He died young as a victim of the plague epidemics. The place of his grave is unknown. The Memorial Tablet of Szepsi Laczkó Máté - a combined wooden and marble tablet issued in 1996. It can be seen on the facade of the Parish Office of the Reformed Church (47 Main St.). Szepsi Laczkó Máté - a preacher, teacher, historian and also a poet, was the first producer of the Tokaj Samotok (the Tokaj wine) - "aszú". Laczkó Máté visited schools first in Moldava, later in Sárospatak. Since 1606 he taught in schools in Hungarian village Olaszliska and in Košice. With a financial support of a weighty family of Mihály Lórántffy he got on studies in Wittenberg (1608). Then he worked as a preacher in Erdöbénye in Hungary.